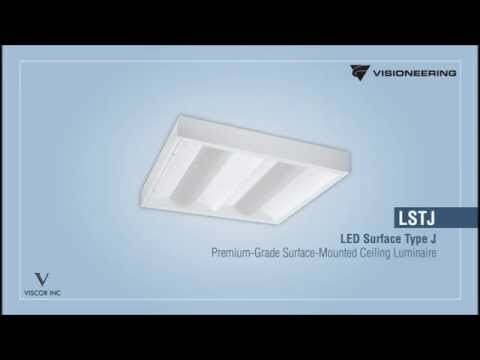 Premium-grade, surface-mounted ceiling luminaire featuring a single edge-to-edge lens. This luminaire's low-profile design makes it ideal for lower ceiling height applications and comes standard with 0-10v dimming. Features hinged and latched door frame.